There is a Call to Worship and a Confession of Faith as well as a reading from the Old Testament and the New Testament where we provide book, chapter and verses in the Order of Service. The title and text of the sermon is included as well. This doesn't include those Sundays where we publicly receive new members or baptize new believers or covenant children. That is a lot of rich and worthy content. Truths of God's Word are sung, read, preached, recited and listened to in 70 to 90 minutes every Sunday morning. And it is all included in our 12 page bulletin every week. And all this happens with a room full of people, all of whom, at one time or another every Sunday, get distracted, including this pastor. 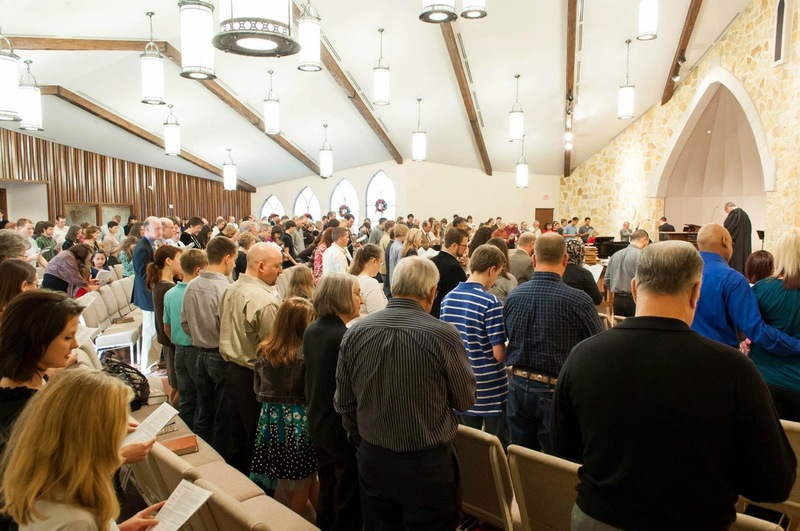 We want to provide the Service early so people can read (even sing) the words of the hymns and psalms we will be singing; digesting the truth of what we will be confessing and professing corporately in song. We want them to connect the dots as to why we used this hymn to prepare us in our Prayer of Confession and why this particular passage was used for the Words of Comfort and Promise after confessing our sin. There is a reason we sing the closing hymn we sing. It may tie into the Call to Worship or to the theme of the sermon or both. The opportunity in reading the Order of Service before Sunday is to familiarize ourselves with the rich truths of Scripture we will be singing, hearing and reading on Sunday morning. So that, in Corporate Worship, we will not simply be reciting what we're seeing for the first time, but reminding ourselves what we've been reading and singing the last couple of days. We want to provide the Service early so people can pray through the different parts of the service; praying that God would enable their praise to Him, the One from Whom all blessings flow; praying that He would bring to their mind right then, and again on Sunday morning, the sin that they bring with them as they seek to grow as worshippers of Him. There is no better preparation for corporate worship than praying through the Order of Service. We want to provide the Service early so our people will know and read and meditate on the passage of Scripture that will be preached on that Sunday. We often place in our bulletin the Q&A from the Westminster Confession of Faith Shorter Catechism: Q 90. How is the Word to be read and heard, that it may become effectual to salvation? A. That the Word may become effectual to salvation, we must attend thereunto with diligence, preparation, and prayer; receive it with faith and love, lay it up in our hearts, and practice it in our lives. As confessional Presbyterians, we believe this and try to provide the opportunity for our people to attend to the Word with diligence, preparation and prayer. We want to provide the Service early so that our families with young children can review the service with our young covenant children before they arrive for corporate worship. 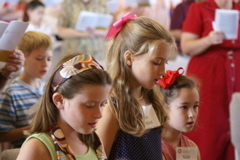 We want and encourage children of all ages to be present and active in the entire corporate worship service each week. For easily distracted little ones to be present and active as worshippers of their God, preparation before Sunday morning is crucial as it teaches them what we are striving to do and Who we are worshiping. We want to provide the Service early in order to encourage a sense of anticipation. This is a meeting our Triune God has called. There is no greater privilege this side of Heaven than to gather together as God's people and corporately give Him His due. We want to pray that we get the weighty privilege of this meeting and that we will anticipate it. Just as our Order of Service is a preview of what we will be doing each Lord's Day, our Corporate Worship Service is a preview of what we will be doing for all eternity with every tribe, tongue, people and nation. It's what we've been made for.